When you've finished catching up on current events and op-eds at breakfast, save your newspaper pages to craft one of these 5 equally useful around-the-house projects. Besides keeping you up on all the need-to-know current events, a hefty newspaper is downright useful to have around the house—whether you’re using it to cushion easy-to-break items or to line your garden beds. 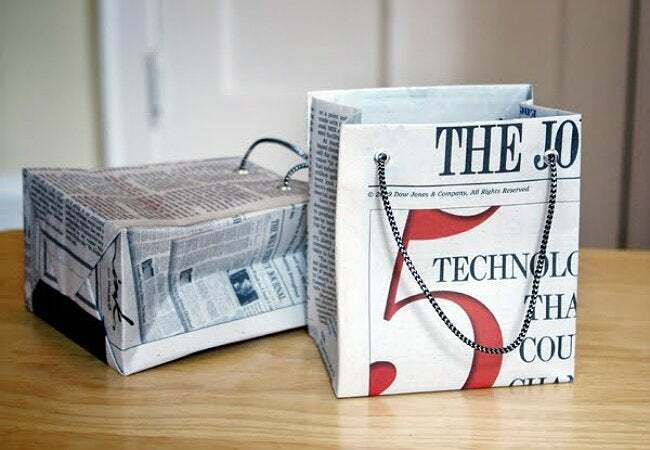 While you can probably rattle off the most common ways to recycle newspaper, why not take a crack at a few ingenious project ideas that you’ve never considered? You can’t do these with a digital subscription. Viva la paper! We’ve all had those moments where we’re running late to a birthday party and desperately searching for a gift bag—only to realize that we forgot to buy one. You can avoid the last-minute scramble out to the store when you try your hand at the user-friendly directions from How About Orange for making your own newsprint gift bags. A few quick cuts, some strategic folds, and a glue stick all help to get the job done in no time flat. 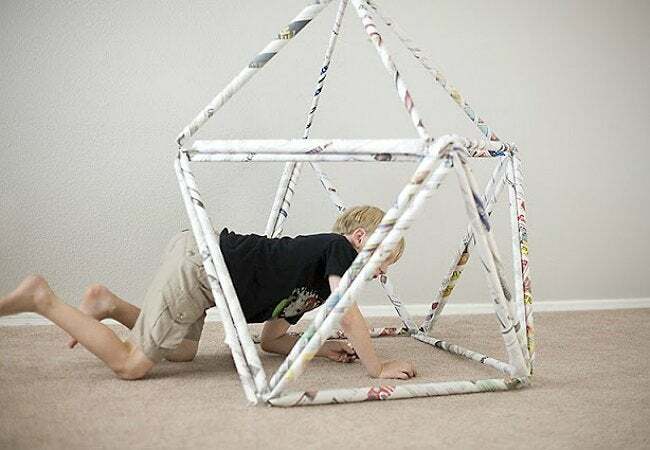 Move over kids’ tepees, because this newspaper jungle gym will be the next indoor play area to sweep the nation. Brainchild of Modern Parents Messy Kids, the shape only looks like complex construction. All it takes are rolled newspaper pages taped and stapled to form triangles, all linked together in a geometric shape of your and your child’s choosing. Voilà, instant place to play! There’s no need to spend the time and money to pick up seed starter trays when you have last week’s newspaper lying around. 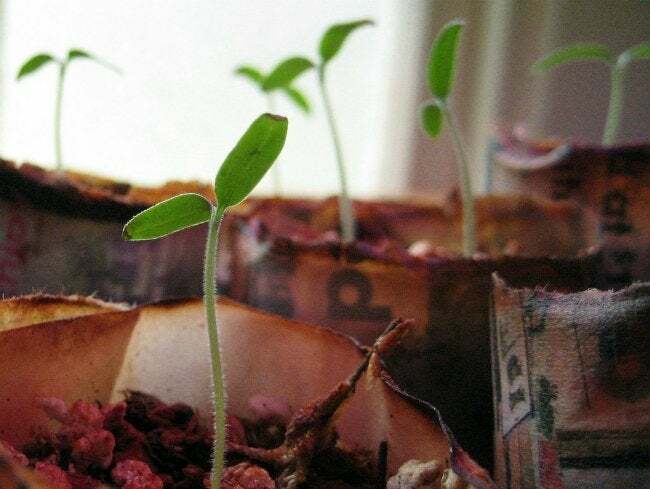 Simply follow the step-by-step from Instructables, and grab a can to fold your paper into tiny biodegradable pots for seedlings. Just remember to make sure your fold is thick enough to support the soil you’ll be pouring in! What home doesn’t need catchalls for life’s miscellany—the craft supplies, tiny toys, spare change, you name it—that always seems to be floating around? 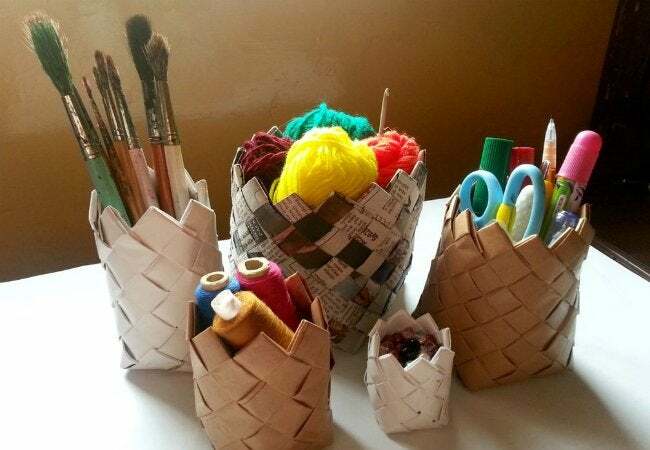 Weave a sturdy, recyclable basket to store and organize any size collection with strips of folded paper in this craft from Instructables. While newspaper is great for this, you can even upgrade to glossy magazine pages or bright patterned paper for a dose of color. For a quick and quirky room update, add some reading material to a switch plate with this sweet idea from Josie Jones & Company. Simply remove your standard plate from the wall, cut a rectangle of newspaper to fit, and tape it so that it wraps around the back. A finishing coat of decoupage paste will both add sheen and keep newsprint from rubbing off on you every time you turn on the lights.